You may have heard many people complaining about their jobs. Some people don’t like their bosses, some have problems with their colleagues, office timings, or office environment. The irony is that many people are not even satisfied with whatever roles they are playing in their company and specially, in a tech company, or with the responsibilities they have. Many such people want to start their own work, but they don’t know how and where to start. 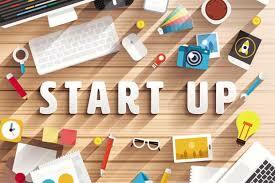 Here are some tips on how you can start and organize your startup. And that is why they always remain hesitant to start their own business/work and get rid of all unnecessary stress. Actually these points are base for any type of start-up and not only for a tech company. If you have check marked all these points, then chances are very high that your company would be a success. Now we will briefly discuss every point one by one. Normally, when someone thinks to start a new business, the person has already some ideas in his/her mind. If you have already an idea, you can skip this step, make sure that the idea is not an ordinary one. But if you are not sure about the idea, find a great product or service idea that can help your company to become a success. Remember, the tech ides that are actually driven by “technology push” instead of “market pull” have higher chances of getting failed. Once you have an idea for your tech start-up, the next step is to evaluate it. Is my idea really worth investing in? Does your idea solve problem of a group of people? Is the making of your product a complicated process? Or a simple one? Has your idea a wow factor in it? Can people easily understand your idea? Can your idea attract masses? What difficulties you may face while developing your idea? Have you studied your competitor/s? If your ide passes all these questions, carry on with your tech idea. But if not, it is better to abandon your idea at this stage, or rethink critically and alter it. Don’t be disappointed, because this is not your only idea. From an abandoned idea, you will get dozens off ideas. 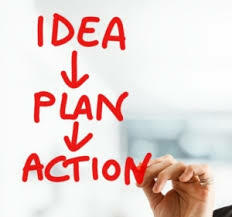 You can either make your business plan by yourself or hire the services of any expert. Better is to make it yourself, or at-least remain involved during making of it. It is important because no one can understand your idea and your approach better than yourself. Internet has made many things very easy for human beings in this era. For a tech start-up, you actually don’t need to rent a physical location and set up your company there. You can own a tech company with its employees working remotely from different locations, even in different continents. You can work from the platform of a virtual tech company as well, but you may face problems if you want to grow your company. It is better to register your start-up at a place where you want to work from, or where you want to make your head office. If you have enough money to invest yourself in business, go ahead and invest. All of the profit will be yours. Reach more potential customers. You can use social media to attract people. Create pitch with product details, market size etc. This era is technology era. It’s the best time to develop and market tech products. Your small tech start-up today, could be a huge success tomorrow. Be persistent and never give up.